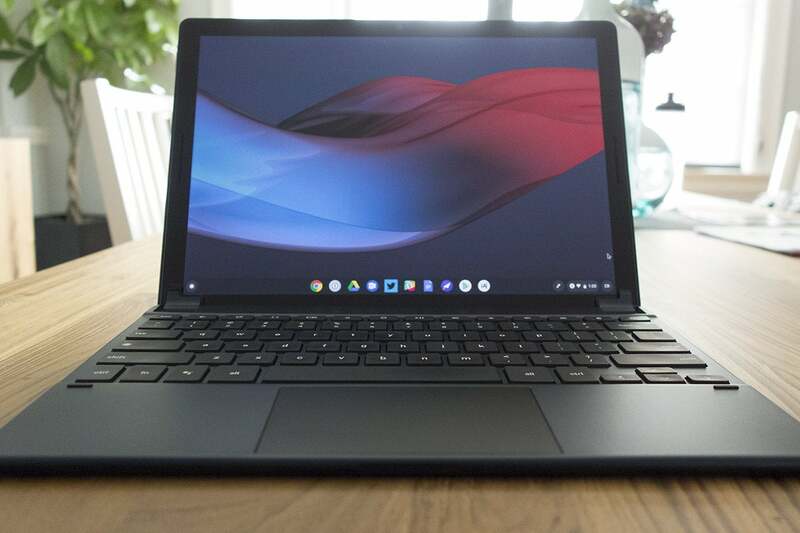 If you get a Pixel Slate, buy this too. If you’re buying a Pixel Slate, you pretty much need a keyboard. 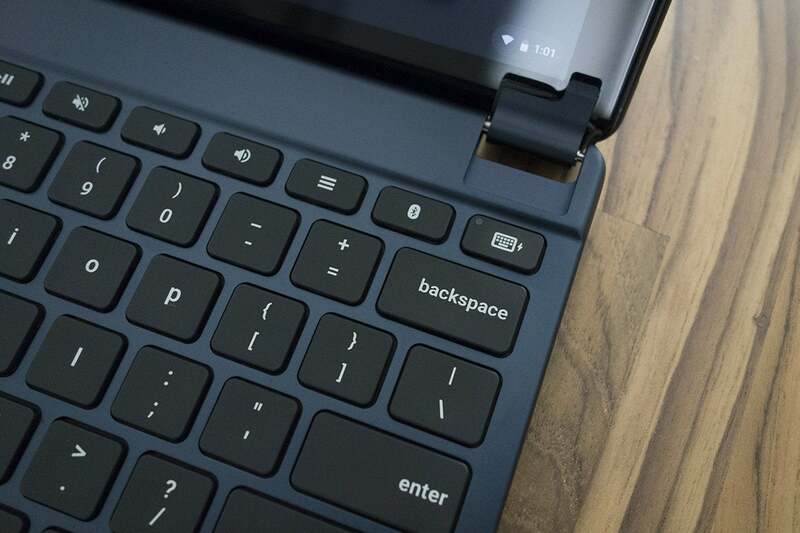 And at the moment there are basically two options: Google’s Pixel Slate Keyboard, which connects via the Quick Snap Connector and the Bluetooth Brydge G-Type. While they both have their pros and cons, the Brydge G-Type is a no-brainer. It’s not just that it’s $40 cheaper, although that certainly helps. It’s that it does two important things that the Pixel Slate Keyboard doesn’t. It allows the Slate to be used comfortably on your lap, and it lets you switch between interfaces at the push of a button. The latter might not be an intended feature of the Brydge G-Type—the website encourages removing the Slate and flipping it around to use it in tablet mode—but it’s one I used often during my testing. But even if you keep it in PC mode, the Brydge G-Type is still the first accessory you’ll want to buy for your Pixel Slate, even before the Pixelbook Pen. If you can wait, there will surely be better options than either the G-Type or the Pixel Slate Keyboard in due time, but if you need a keyboard for your Pixel Slate now, the choice is clear. As I covered in my Pixel Slate review, the Pixel Slate Keyboard’s design and adjustability are nice, but it’s pricey considering the drawbacks. The widely spaced, circular keys messed with my typing accuracy, for starters. Also, the thin and somewhat flimsy keyboard doesn’t really support the weight of the screen without a desk or a table backing it up. The hinges on the Brydge G-Type wireless are raised. The Brydge G-Type wireless keyboard solves all of these issues. While the design is more utilitarian than elegant, its aluminum shell looks great against the Slate’s midnight blue exterior. It’s actually a bit bluer than midnight, but the contrast works, as does its low profile that’s slightly thinner than the Slate itself. Getting the Slate into the G-Type is trickier than it is for the Pixel Slate Keyboard, which literally is a snap. With the Brydge keyboard, the Slate slides into two hinges at the top of the keyboard. You need to line them up first and then adjust the Slate as needed, using the right-angle hinges to align the corners of the screen. It takes about 30 seconds or so to get it right. If you want to use the Pixel Slate as a laptop, the Brydge G-Type wireless keyboard is a great companion. At 1.5 pounds, it’s quite a bit heavier than Google’s own offering (which weighs 1.1 pounds), but the extra heft serves the G-Type well. Where the Pixel Slate Keyboard is a bit top-heavy with the Pixel Slate attached, the Brydge keyboard is extremely well balanced. 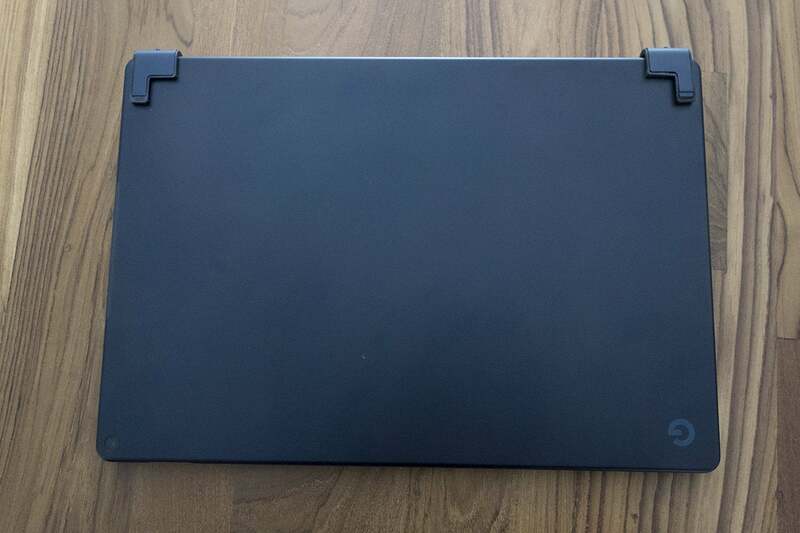 The Brydge G-Type doesn’t have a back cover like the Pixel Slate Keyboard, but the raised hinges that wrap around the back will do well enough to protect it from minor scrapes and scratches. Most importantly, it’s truly “infinitely adjustable,” opening to a full 180-plus degrees, if you so desire, and every angle in between. There’s a USB-C port on the side for powering up, but Brydge says it can go six months between charges. 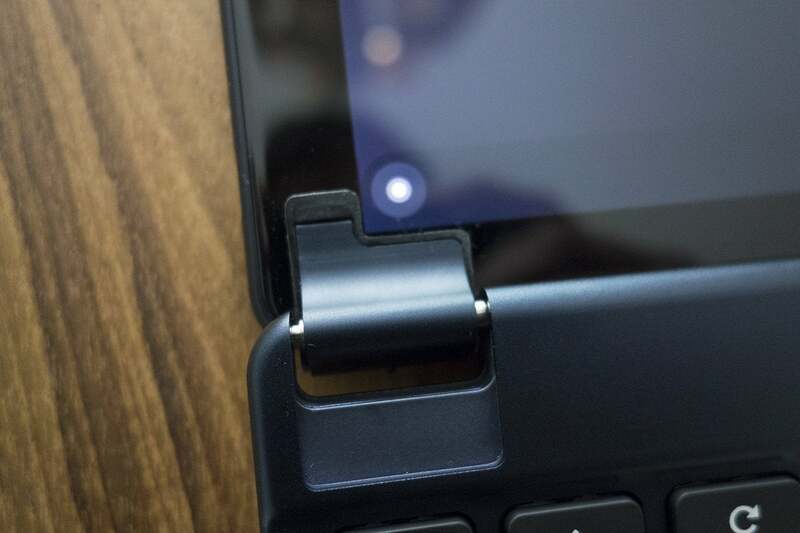 The G-Type’s hinges double as a guide for aligning the Pixel Slate’s screen. Because the Brydge keyboard is Bluetooth, it needs to be paired with the Pixel Slate, a process that takes seconds. However, I experienced sporadic issues with the Bluetooth connection on my Slate, which would cause the keyboard to instantly disconnect, with no other way to fix it than restarting. It’s not a problem with the keyboard—I experienced the same issues when attached to the Pixel Slate Keyboard—but it does affect the usability. Google told me that an update will be available soon after the launch of the Pixel Slate, so hopefully it’ll fix this issue. When it works, however, the Brydge G-Type is an excellent companion for Google’s new tablet. Typing on the keys—which are square rather than confoundingly round, like on the Pixel Slate Keyboard—feels just like a laptop, with 1.5mm of travel and a quiet yet comfortable bounce. I made way more mistakes writing on the Pixel Slate Keyboard than I did on the G-Type, mostly due to the circular keys. Whenever I switched, the Brydge keyboard was like a breath of fresh air for my fingers. The key in the top right is the magic button to switch from PC to tablet mode. There’s also an Assistant key next to the space bar as well as a few Chrome OS shortcut keys. But my favorite button is the Bluetooth one in the top right corner. You need to press it each time you power on your Slate to initiate the connection, and you can turn it on and off at will, which you can’t do without physically removing the Slate from Google’s keyboard. It’s handy for when you want to use split screen or just don’t want to worry about accidentally hitting one of the keys. Alternatively, you can turn off Bluetooth and flip the screen around to use it in true tablet form, but constantly taking the Slate out can get tiresome. Removing and re-inserting the Slate isn’t difficult, but it’s nowhere near as quick as it is with the Google Slate Keyboard’s Quick Snap Connector. It’s much easier to press the Bluetooth button and wait for the screen to switch. Should I buy a Brydge G-Type wireless keyboard? 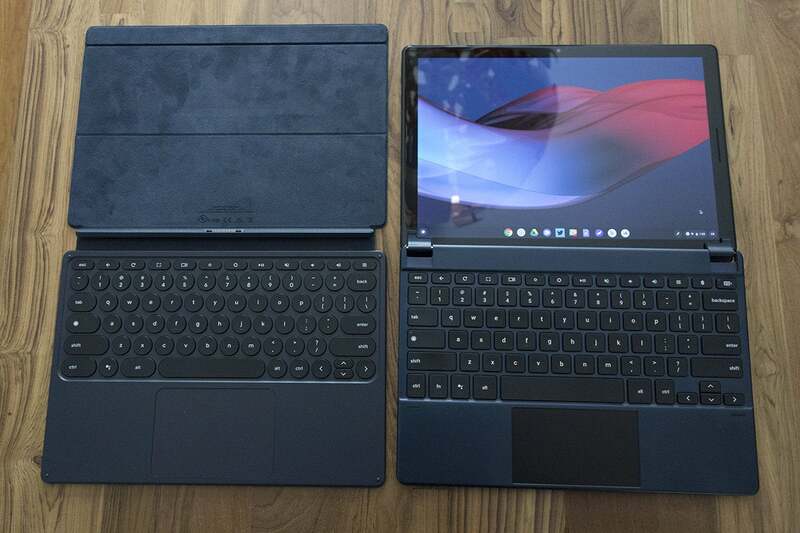 I opened my review of the Bridge G-Type with this line, and I’ll repeat it here: If you’re buying a Pixel Slate, you pretty much need a keyboard. And of the mere two available at launch, the Brydge G-Type is the way to go. 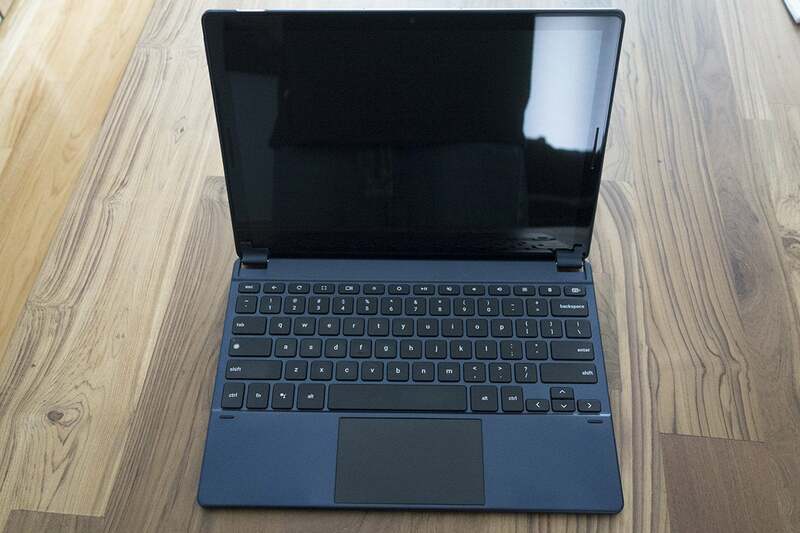 The Brydge G-Type keyboard has similarly trackpad and keyboard size as the Pixel Slate, but the keys are mercifully square. I wish it were a little lighter and easier to remove, but it beats Google’s Pixel Slate Keyboard in every other category: adjustability, comfort, ergonomics, typing, you name it. And you’ll save $40 in the process. The Brydge G-Type wireless keyboard is a little heavy, but otherwise it's a perfect companion for Google's Pixel Slate.